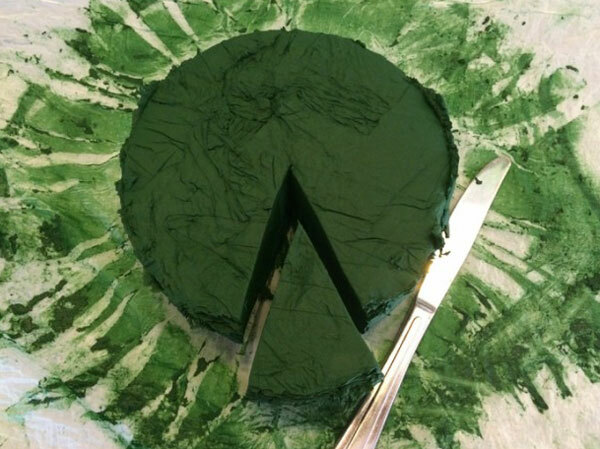 Yes, called the food of the future over 30 years ago, spirulina is still coming on today. Spirulina has become the most widely cultivated micro-algae all over the world on six continents. My book 'Spirulina World Food' has been a good sourcebook for over 25 years. Why has spirulina become the most widely cultivated micro-algae around the world? Spirulina has historically been consumed as a safe nutritious food. It can successfully grow outdoors in ponds. Easy to harvest with micro screens. 40 years of published scientific medical research exists. Existing global market has already been developed. Spirulina has a lower cost of entry for small-scale production. Do you know of spirulina farms that accept voluntary workers? Most large commercial spirulina farms want specialists with training, not volunteers. (Ulla:) Are there other ways in which people can get involved? Over the past decade, more entrepreneurs are getting involved with growing spirulina in smaller scale microfarms. I authored the recent book 'Algae Microfarms' to show examples of the entrepreneurs, small companies and NGOs growing spirulina and other algae around the world. Algae microfarms are scalable small commercial farms often inside greenhouses in temperate climates. They may be the future of greenhouses, hydroponics and urban farming. In a small area, fast-growing microalgae, like spirulina, can produce higher income for growers than conventional foods, vegetables and herbs. Tell us about your own spirulina farm? My Smart Microfarm spirulina algae testbed is located in Olympia, Washington. As one of the northern-most spirulina farms in operation today, this facility demonstrates productivity in cooler climates where most people live. Ponds have insulating foam panels below and a retractable cover above, all within a larger greenhouse. This greenhouse pond design raises productivity and extends the growing season beyond the summer months. Can people grow spirulina at home and is it expensive to do? Yes, spirulina can be grown at home in tanks, but some people will find it to be a somewhat time-consuming hobby to maintain the algae culture for the small amount than can be grown and harvested at home. It is more difficult keeping a specific algae culture growing well than growing vegetables, herbs, sprouts or fungi. How did you become interested in spirulina and farming it? Way back in 1977, when a small team of us realized we could harness the amazing productivity of our original life form - algae, we set out to build first commercial algae production farm in the USA. By 1982, our pilot farm transformed into Earthrise Farms in Imperial Valley California, becoming the world's largest spirulina farm, and is still operating today. The next step was to introduce algae to health food customers, raise awareness of spirulina as a superfood, and stimulate worldwide production especially where people most need it in developing countries. This is now well underway. 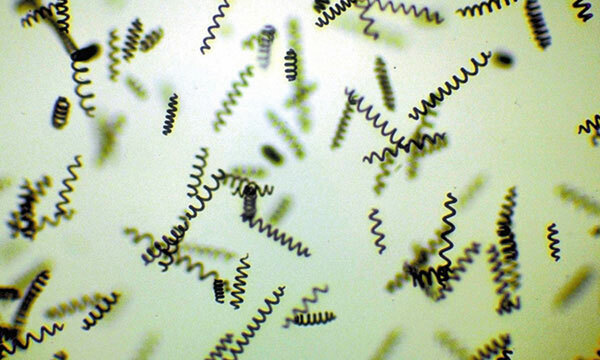 Spirulina as seen in a microscope. How can spirulina benefit people in the future? My focus has evolved from large-scale production to small-scale microfarms. Based on 35 years of experience in the algae industry, the next step is to promote a viral spread of small algae systems across the planet. Successful small-scale spirulina cultivation is now practical and can support local food production. We provide consulting services to start up spirulina production. Building a network model of algae microfarms with web-based sensors and controls so remote experts can guide local growers, without the cost of on-site algae scientists. This breakthrough, combined with scalable, modular growing systems, means algae microfarms can be installed anywhere in the world. Now we have another way we can transform our food culture, sustainably and profitably. Where can we learn more about the opportunities with algae? Like the Facebook Algae Microfarms page for regular news updates. Check out videos, slide shows and stories at SmartMicrofarms.com, Spirulinasource.com and AlgaeCompetition.com. (Ulla:) In addition, Robert Henrikson's YouTube channel has plenty of good information. And the Spirulina Health Library has references to research studies related to spirulina and cancer, viruses, cholesterol, diabetes, hypertension, anemia, nutrition, kidney and liver detoxification, immune system, radiation protection, etc. Thank you so much Robert Henrikson for taking the time to answer these questions, and thank you for your amazing work in enabling nutritional and sustainable farming revolutions in the world! Effective Microorganisms - An Earth-Saving Revolution?